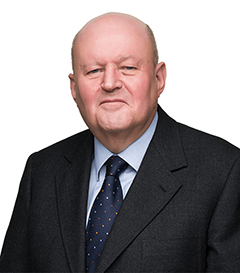 Jean-François Belis has several decades of experience in competition and trade law, representing clients in numerous cases before the European Commission and the EU Courts. Jean-François assists clients on all aspects of competition law with particular expertise in cartels, abuses of dominance and merger control. Jean-François Bellis is a founding partner of Van Bael & Bellis. Before setting up the firm in 1986, he clerked for Lord Mackenzie Stuart, the British judge at the European Court of Justice, and was a partner in the European law department of a major Brussels law firm. In 2014, Jean-François was honoured by Chambers & Partners for his “Outstanding Contribution to the Legal Profession”. Previously, in 2011, the Global Competition Review (GCR) granted him a “Lifetime Achievement Award” in recognition of his longstanding experience in competition law. He has also been named by Best Lawyers as a “Lawyer of the Year” for 2010, 2013, 2014 and 2015. Jean-François Bellis has written numerous books and articles on competition and trade law and regularly speaks on both of these subjects at international conferences and seminars.